Princess Margaret has announced that she decided she would not marry Group Captain Peter Townsend. The brief statement was released at 7:00 p.m., by Clarence House. The 25-year-old Princess said her "regard for the Church and her duty to the Commonwealth made her reject: Townsend, the 40-year-old divorced airman. Here is the text of the statement from Clarence House. I would like it to be known that I have decided not to marry Group Captain Peter Townsend. I have been aware that, subject to my renouncing my rights of succession, it might have been possible for me to contract a civil marriage. But mindful of the Church's teachings that Christian marriage is indissoluble, and conscious of my duty to the Commonwealth, I have resolved to put these considerations before others. I have reached this decision entirely alone, and in doing so I have been strengthened by the unfailing support and devotion of Group Captain Townsend. I am deeply grateful for the concern of all those who have constantly prayed for my happiness. Margaret." Group Captain Townsend drove to Clarence House, a "massive cream colored mansion, at 4:10 p.m. He left at 6:17 p.m, and returned to 19 Lowndes Square, where he had been staying with friends. It was learned earlier tonight that that the Group Captain would stayed at Uckfield House, the home of Lord Rpert and Lady Camilla Nevill, for a few days before returning to his post in Brussels on Monday. At 9:00 p.m. a member of the household staff at Uckfield House walked to the gate where reporters were waiting. "Group Captain Townsend said he cannot say anything tonight. He is not in a fit state to see anyone tonight." BBC Radio and television broke into programming at 8:00 p.m., to announce Princess' Margaret's statement. The Queen and the Duke of Edinburgh attended the "annual royal film show," a benefit for the Motion Picture Benevolent Association. The Princess' "long-awaited" decision will come as a "relief to many. There were many insuperable obstacles to the marriage as Townsend is divorced. The Anglican church does not allow the remarriage of divorced persons if the former spouse is still alive. It didn't matter the the Group Captain was the innocent party in the divorce. Others felt that the "dignity of the throne was being compromised" due to the "unchecked flood of rumor and speculation around the world." There is now no question that Princess Margaret loves Group Captain Townsend, whom she saw on October 12 for the first time in two years. Princess Margaret, who is third in line to the throne, has a "strong sense of duty," but has also shown a "strong independence." She is "gay, likes to dance, listen to tunes on a record player. The actual decision was made several days earlier as she and Peter Townsend were feeling "thoroughly drained, thoroughly demoralized." The Church of England had made things worse by telling Margaret that she would be barred from taking Holy Communion if she married Townsend. After her divorce from Antony Armstrong-Jones, the then Archbishop of Canterbury, Donald Coggan, told her that the Church had been wrong to make "so grave a threat." 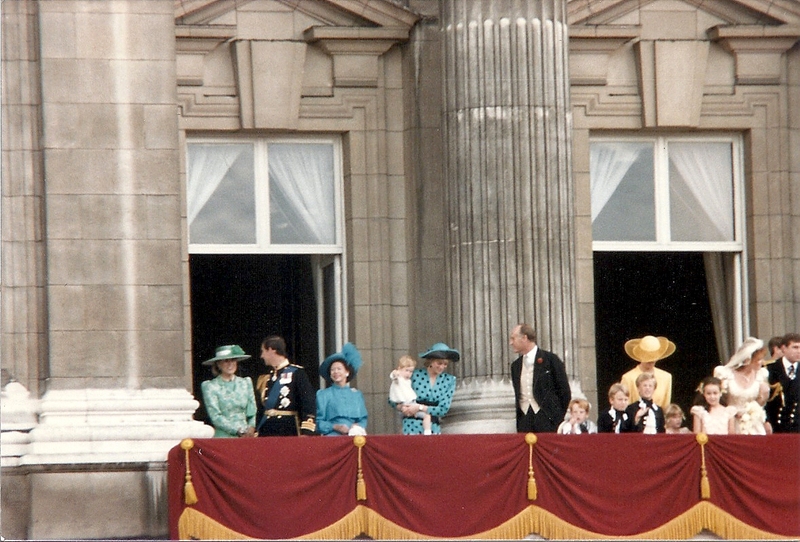 As Margaret's biographer, Christopher Warwick pointed out, the Princess was "ill-equipped" for a life outside the "prescribed, structured and safe environment she had always known." It was at the home of Jenny and John Lowther in Kensington on October 24 that Margaret and Peter decided to write a draft statement together. After it was completed, Peter said: "we looked at each other; there was a wonderful tenderness in her eyes which reflected, I suppose, the look in mine. We had reached the end of the road. Our feelings for one another were unchanged, but they had incurred for us a burden so great that we decided together, to lay it down." The Archbishop of Canterbury was the first to be told. Margaret's meeting with him at Lambeth Palace was not for guidance. "Put away your books, Archbishop, I am not going to marry Peter Townsend. I wanted you to know first." At Clarence House, for their final meeting, Margaret and Peter "drank a toast to to their past and both to their futures." After he left for Lowndes Square to "collect a few things," and then drive to Uckfield House, Margaret dined in alone, as her mother was at an engagement at London University, where she was the new Chancellor. Wasn't Margaret a beautiful young woman? I wonder if she and Captain Townsend would have had a good marriage, had they been allowed to marry. 15 years is a big age difference. And how shocked the CofE official would have been to see that three of the Queen's four children have been divorced and two have been remarried. Money and position over marriage, more likely.